I’ve been promulgating the Ten Steps to Prosperity (see the end of this post) for several years. It is a program designed to narrow the income/wealth/power Gaps between the rich and the rest of us. 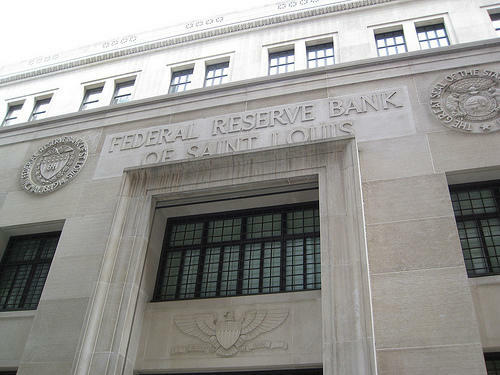 As the St. Louis Federal Reserve and many others say, federal deficit spending is infinitely affordable for our Monetarily Sovereign government. Poverty-alleviation programs like food stamps (SNAP), Social Security, and other “welfare” programs are broadly effective at reducing poverty, a new study from University of Chicago researchers found. Researchers Bruce Meyer and Derek Wu, conducted a more comprehensive analysis than found in most studies, because it used administrative data from the programs’ payment records, not just survey data of recipients from the Census Bureau. The effectiveness question is often at the crux of the dispute, and the study finally answers it in a more complete way for six major programs: SNAP, Supplemental Security Income (SSI), Temporary Assistance for Needy Families (TANF), Social Security, housing assistance, and the Earned Income Tax Credit (EITC). Respondents in Census surveys often significantly under-reported the effects of these programs, failing to count 50% of public assistance dollars, 42% of SNAP dollars, and 16% for SSI. The research found that all programs except for the EITC “sharply” reduces deep poverty, (50% below the poverty line — income of $12,140 for an individual and $20,780 for a family of three). The EITC has a bigger impact on families around 150% of the poverty line, an income level often described as “working poor.” The researchers called the tax credit, along with SNAP, the “most effective” of the means-tested programs. For the elderly, Social Security benefits slash poverty by 75%.” Social Security’s overall effect on all poverty is also enormous, responsible for by far the largest poverty reduction among all these programs, the study said. When it comes to alleviating deep poverty “many of the means-tested transfers (like SSI, SNAP, and housing assistance) play a substantially larger role than Social Security, which pays out more for those who put more in. The income/wealth/power Gaps constitute the single most important problem in economics. Social benefit programs narrow the Gap between the rich and the rest. Such programs not only are easily affordable for our Monetarily Sovereign government, but they do not lead to an uncontrolled inflation (See: Deficit spending does not cause inflation). The rich do not want Gap reduction, and they have brainwashed the public into believing help for the poor is immoral and unnecessary. Gap Psychology, the human desire to separate oneself from those below on economic scales, and to come closer to those above, aids the rich in their brainwashing efforts. The populace is all-too-ready to believe that the poor are lazy takers, who could, if they wished, lift themselves by the bootstraps. Much of the populace falsely believe that aids to the poor encourage the poor to remain lazy and poor. Further, the populace has been trained to believe that for the poor to receive benefits while not working is sinful (though perfectly fine for the idle rich). The notion that the poor are so lazy they prefer poverty to work, has no basis in fact, and is beyond contemptible. But it provides a handy excuse for Gap Psychology. In summary, there are no economic reasons not to institute the Ten Steps to Prosperity. They would benefit not only the poor, but the entire economy. We should begin without further delay. 7. INCREASE THE STANDARD INCOME TAX DEDUCTION, ANNUALLY. (Also refer to this.) Federal taxes punish taxpayers and harm the economy. The federal government has no need for those punishing and harmful tax dollars. There are several ways to reduce taxes, and we should evaluate and choose the most progressive approaches. 5 Responses to Evidence anti-poverty programs work. So why not? You are correct. Unfortunately, the word “welfare” has been tainted by the rich. Not too many journalists understand MS and importance of deficit spending. According to the nonpartisan Center on Budget and Policy Priorities, the proposed work requirements ignore important barriers to employment, such as very limited skills, mental health issues like depression, as well as housing, transportation, child care, and other medical and social barriers. The truth is that the typical food stamp recipient isn’t an urban black woman at all. She is a white woman. And that elusive “welfare queen”? She’s just a figment of those Republicans’ uninformed imaginations. As I said, these are excerpts. To see more facts about anti-poverty programs, read the entire article. Of course, if you are a conservative, facts about anti-poverty won’t matter to you, because your fisceral hatred of the poor has locked the door on facts.